The aim is for 4 races and class racing with separate starts if numbers are sufficient. Full galley and sponsored pudding! This will be the fifth year we have had an RS Aero event at Chelmarsh! 2016 UK Inland Championships with 41 entries! 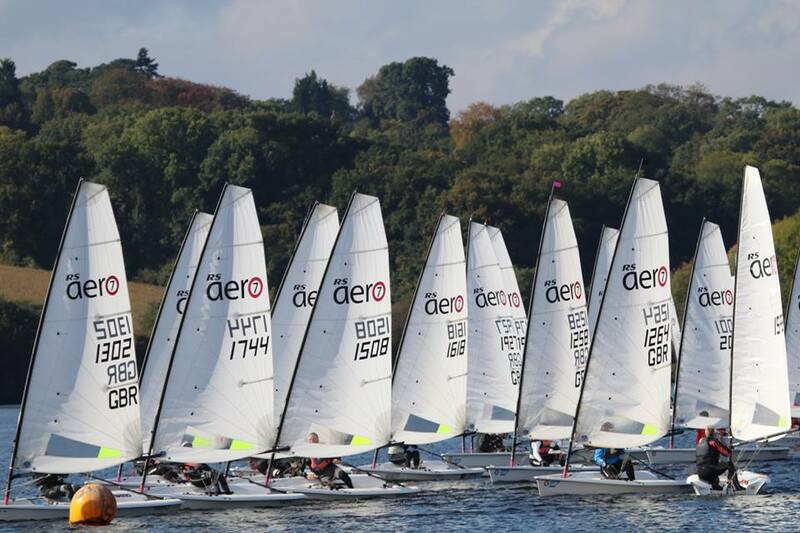 All are welcome to sail on Sunday 22 September in the club fleet racing. Chelmarsh SC can organise accommodation with club members for a few sailers and camping/ camper van spaces available on application. Please contact David Partridge in advance. Chelmarsh SC is on the Welsh side of the Severn Valley. Best access is by taking the B4555 south of Bridgnorth and you will see reservoir on your left. Take first left after the Bull Inn in Chelmarsh, which is on your right. Follow the lane eastwards for about 1 mile to the Sailing Club. If you enter the postcode into a SatNav it is likely to try to take you over a foot bridge at the end and it is a long drive around! Best to use 'B4555' or 'Sutton'. There is a grassed area available for camping adjacent to the clubhouse. (This is not serviced except by use of the clubhouse facilities) . If you hope to either camp here or stay in a motor caravan on site please could you notify the club. Accommodation is available at the following establishments. Note that inclusion on this list does not infer any particular recommendation. The Bulls Head is closest to the club. For further information and reviews please refer to the websites.